Monday is the big day! The day that the Avenida da Liberdade will host another St. Anthony’s parade. The Marchas Populares are a long-standing tradition of the city of Lisboa and a source of the purest neighborly cultural pride. 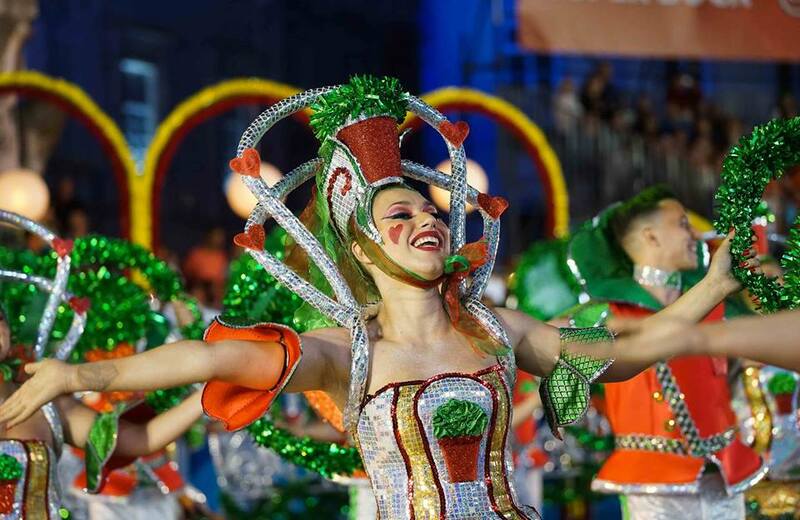 Each year on the evening of June 12th, the different city neighborhoods descend one of Lisbon’s most iconic avenues, Avenida da Liberdade, in a parade showcasing the dedicated efforts of the different city communities and districts. There are 20 marches competing against each other with songs, lyrics, costumes, choreographies and overall impression judged by a special jury. The first parades took place on the 2nd, 3rd and 4th of June at Meo Arena, but it is in the Avenida da Liberdade that the competition is taken to another level. This night is also the scene to an enormous party, street festival and dance, unmistakable for the smell of grilled sardines and manjericos (basils) permeating the entire city. A party that is uniquely lisboeta and that each year draws thousands of people onto the streets of the city and that only winds down early in the following morning. Come and join us in this unique celebration that will join roughly 2000 participants.